Are you planning to take driving lessons? Do not know where to take the training? Hobson’s Bay is the right place for it. 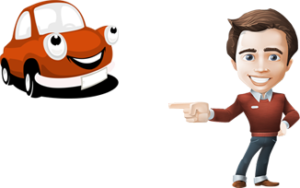 We provide the best quality driving course in Melbourne. Our trainers are experts in this field and they give personal attention to each student knowing their weaknesses. We also serve you with a choice of manual or automatic car driving training, dependingsolely on your requirement. Our aim is not only to make our students expert drivers ready to face the busy roads but also help them clear their license shot in the first attempt. Obtaining your license for the 1st time. Changing your overseas or interstate license over to a victorian license. 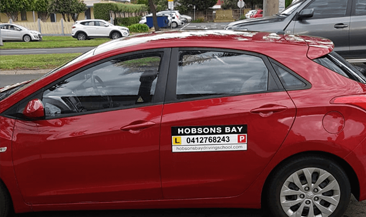 Hobson Bay Driving School started over 32 years ago with Professional Instructors and in that time we have had many satisfied customers both young and old gaining their licenses for the first time, we have fantastic instructors experienced in both Manual or Automatic training. Big thanks to Mickey for being an awesome instructor and helping me pass my driving test. He’s very friendly and easy-going and he really cares about making sure you feel comfortable when driving. All my lessons felt relaxed which made the whole experience super enjoyable and one I would highly recommend for those wanting to learn manual. I couldn’t be happier. I’m so happy I got my license already, thanks to Mickey for all his patience in teaching me how to learn driving a manual car & safety on the road. He knows I’m one of those busy people to teach but his flexibility so that our schedules would meet is just amazing! He’s lively & witty that my learning time with him is always fun, never boring. Plus, he continues to have faith in his client even when sometimes circumstances are challenging. And what I would never forget is how he can manage to park a car so easily & quickly without being on the main driver’s seat – I call that talent not just a skill! Thanks Mickey, Salamat again! A.W.E.S.O.M.E TONY and Hobsons Bay Driving School!!! Thank you for being so gentle and patient on teaching me how to be a safe driver! Thank you for the awesome stories you have shared with me while driving (I know you are doing that to ease my nerves, well it works all the time). 1000% will recommend you AWESOMENESS TONY and Hobsons Bay Driving School! A definitely 5 stars!!! Keep it up! A beautiful, local family business that offer the highest quality service and results. You will notice your driving improve after only a week. Mickey was my driving instructor and from the very first lesson, he made me feel calm and comfortable. He’s extremely patient. Even if I made the same mistake over and over and over again a million times, he would still be totally relaxed and patient with me. When most people would have lost their cool! He’s super enthusiastic and bubbly and made learning so much fun. Was really easy to build rapport. And probably, most importantly, he was very clear and concise with giving directions and with his way of teaching. I couldn’t imagine anyone being better! He believed in me when I didn’t believe in myself.. and guess what! I just passed my test today. Just as he knew I would. Highly recommend these guys. The best. Thankyou so much to Mickey for helping me get my license!!! You’re the absolute best, I’m going to miss spending time with you. One of the most relaxed, funny and kindest people I’ve met!! Guarantee Mickey will have to ready to pass, 100% recommend.